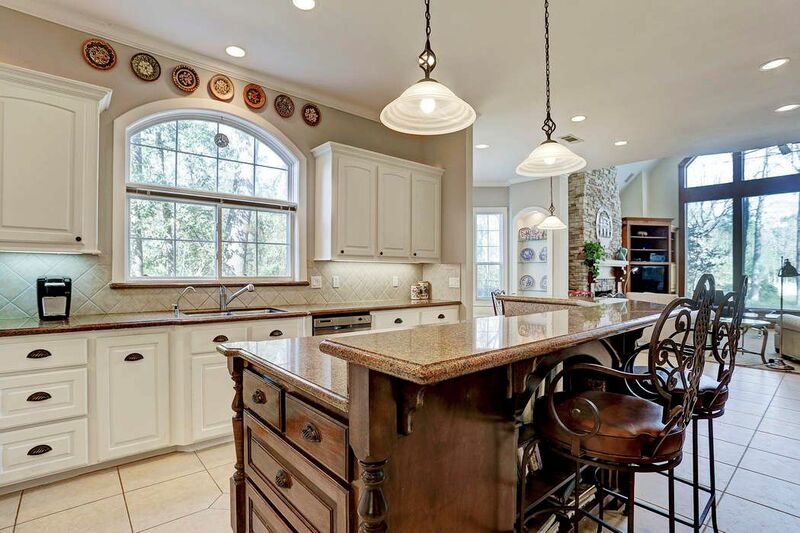 14619 Overbrook Lane, Pinehurst, TX 77362 | Martha Turner Sotheby's International Realty, Inc. The cathedral ceiling with picture window floods this family room with light, offers incredible lake views and is well equipped with a gas log fireplace,, surround sound for the TV with speakers in the living room, bathroom and on the patio. 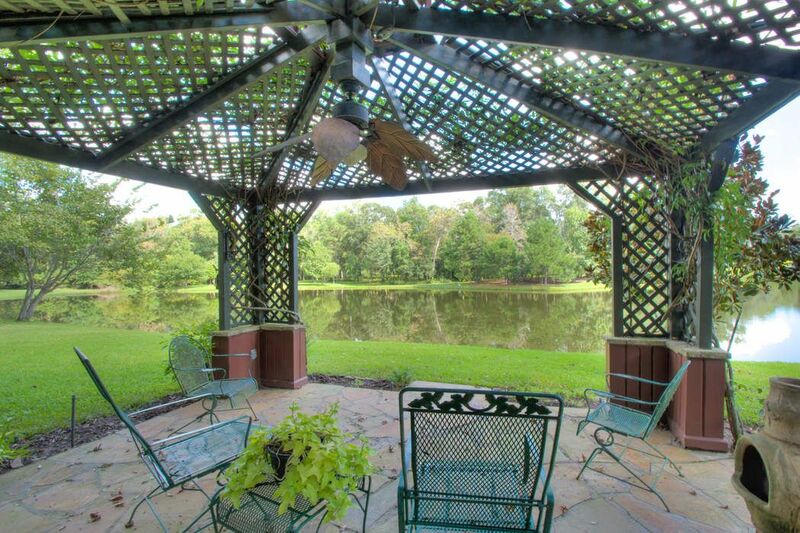 Wouldn't you just love this view and sit out and sip your favorite beverage or fish in your own backyard. 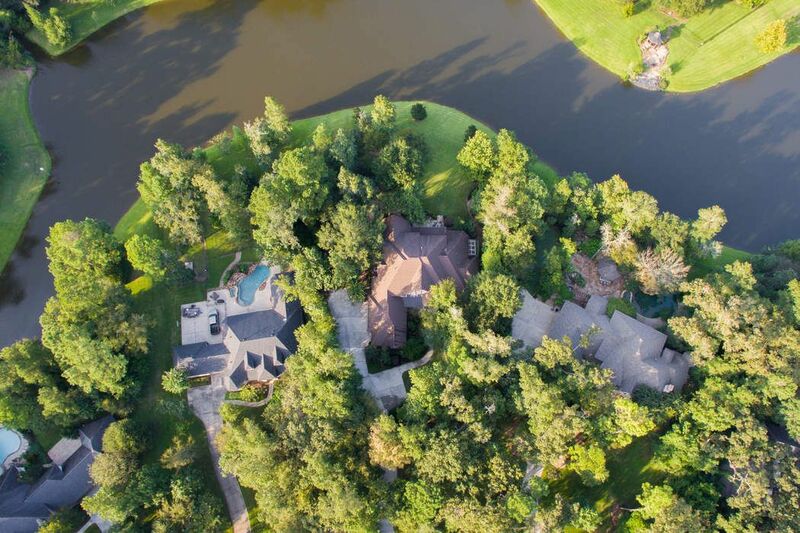 Call to schedule a private showing of this incredible custom home in Old Mill Lake. 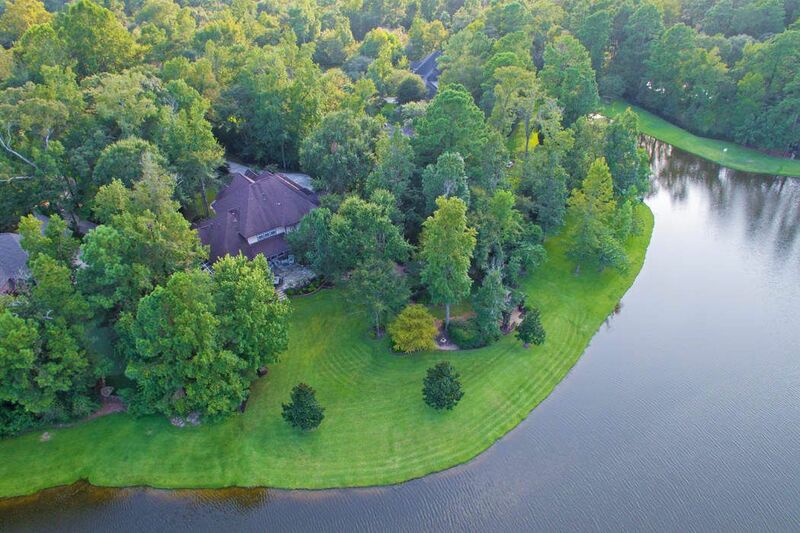 This treasure is located in the exclusive gated community of Old Mill Lake at 14619 Overbrook Lane.. On just over an acre, this waterfront home is a must see. Welcome home to 14619 Overbrook Lane. A J.W. Neathery custom home, you will not be disappointed. 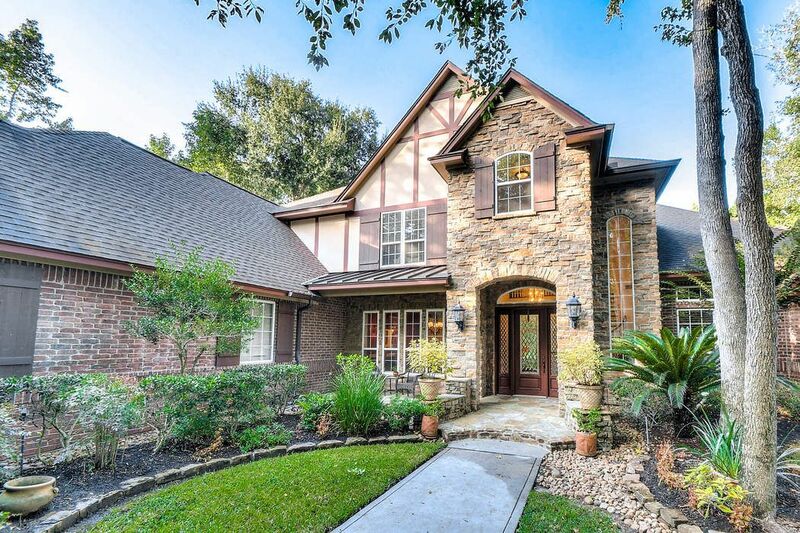 This inviting homes presents magnificent curb appeal in this prestigious neighborhood. 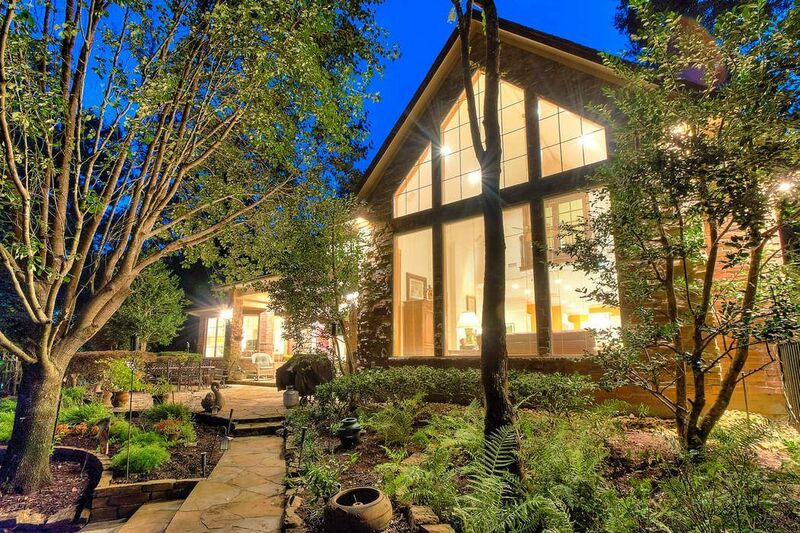 This property offers some of the best views in the neighborhood and feels secluded. 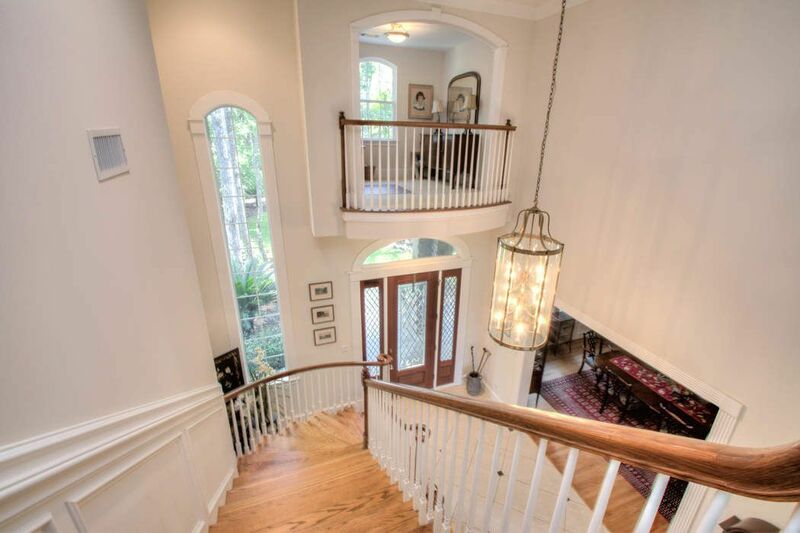 As you enter you are welcomed to a dramatic entry with sweeping staircase. Quality of construction is felt the moment you enter this beautiful gem. 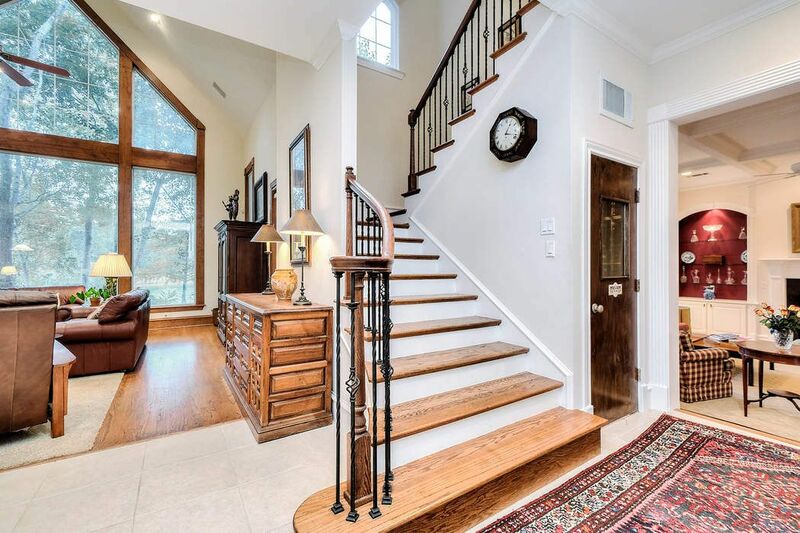 There are many architecturally interesting features and finishes in this quality home. 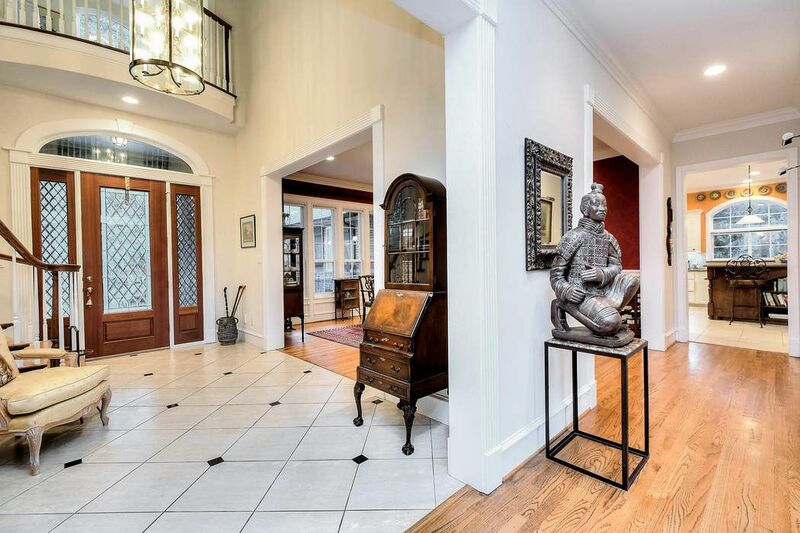 With beautiful moldings, wainscoting, inlaid tile, lighting and rich oak wood floors, these are just a few of the fine finishes and details found in this custom home. 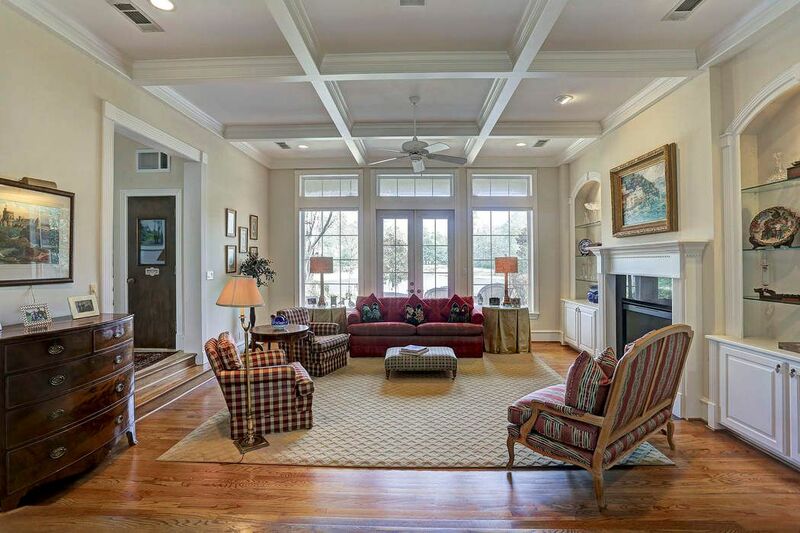 Sunken Living Room with coffered ceiling, fireplace, lighted bookcases and a wall of windows with breathtaking views of the lake. 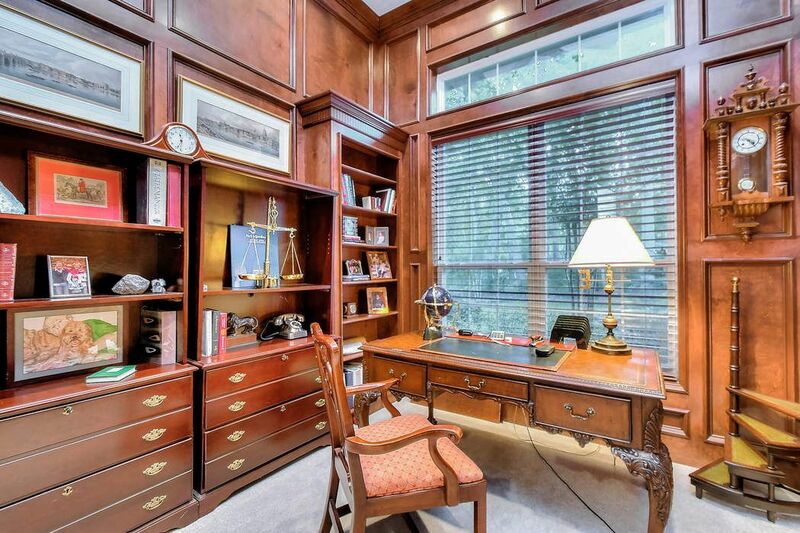 Beautiful wood-paneled study with cabinets and bookshelves. The large picture window with transom allows for natural light. 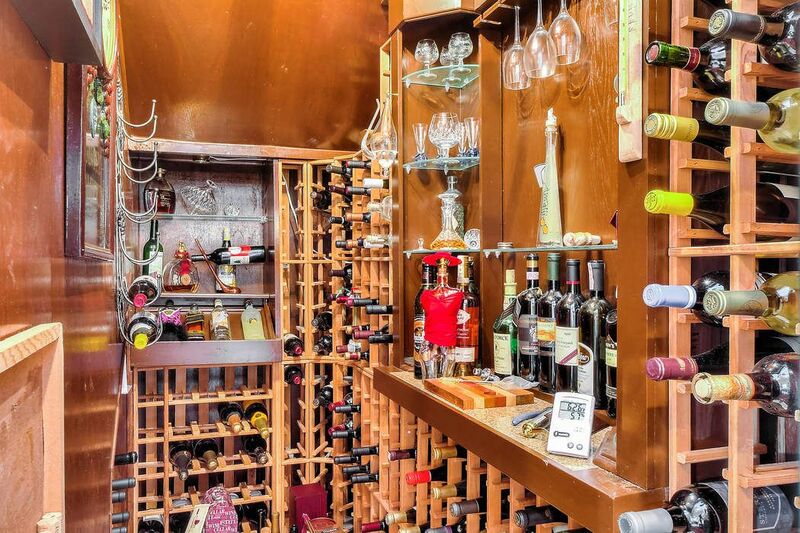 This wine room boasts room to house 300 bottles of wine, is lighted, air conditioned to 55-60 degrees, custom designed, insulated, and complete with granite counter top. 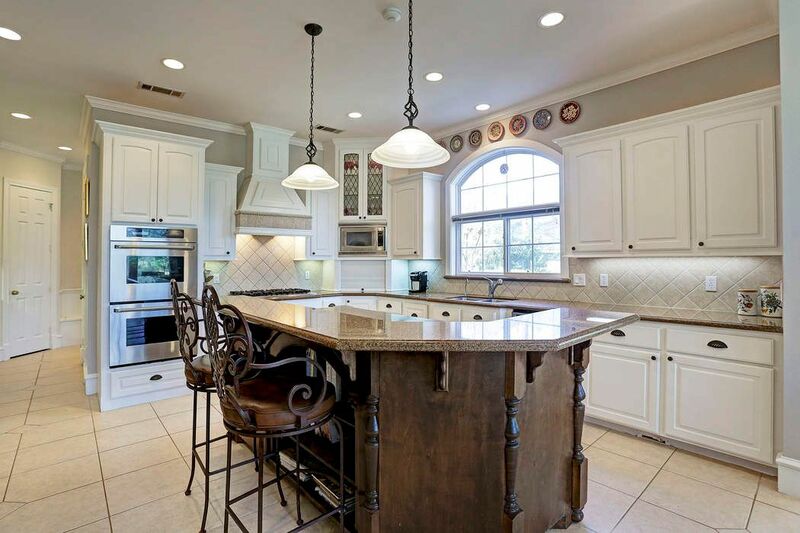 Additional view of this beautiful kitchen. This breakfast room is a wonderful place to sit and drink a cup of tea, taking in the beautiful scenery and lake views. 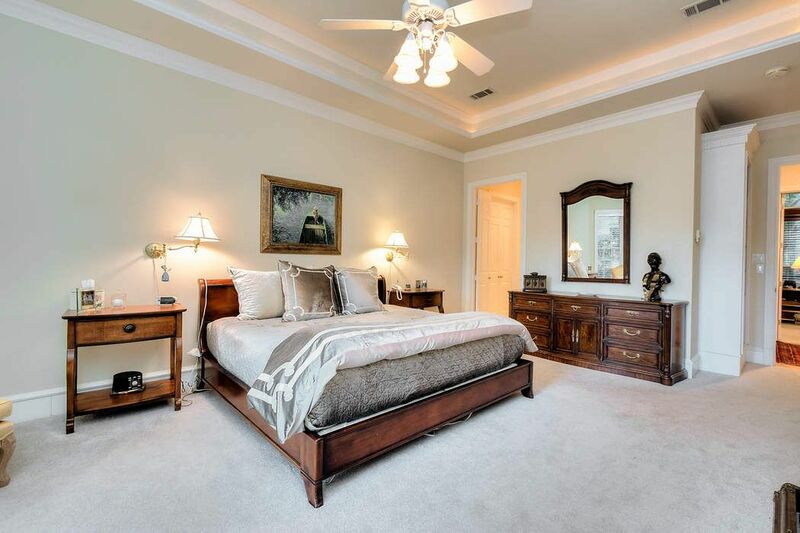 Retreat to your luxury master suite which features built in bookcases, ambient lighting in the tray ceiling and is finished with beautiful crown molding. 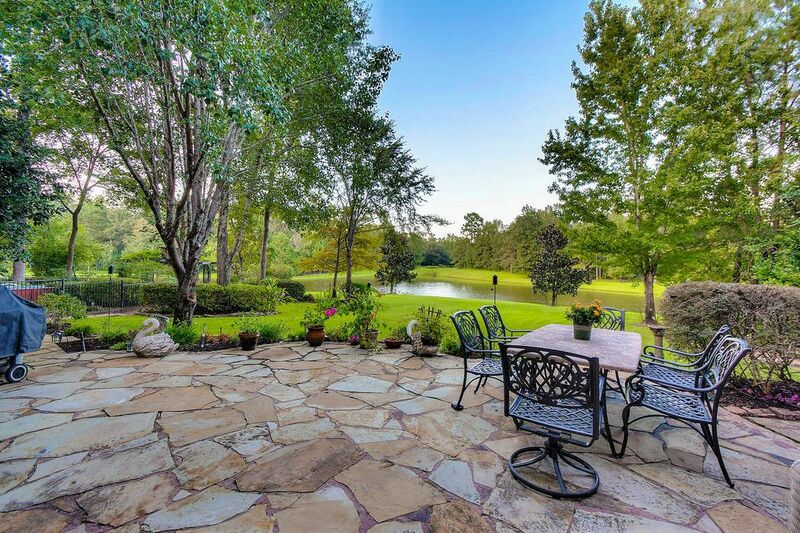 Enjoy access to the patio from the master to sit and enjoy the lake. The master bedroom also features an antique (mock) fireplace surround, log grid, antique brass fender and custom made pine mantle. 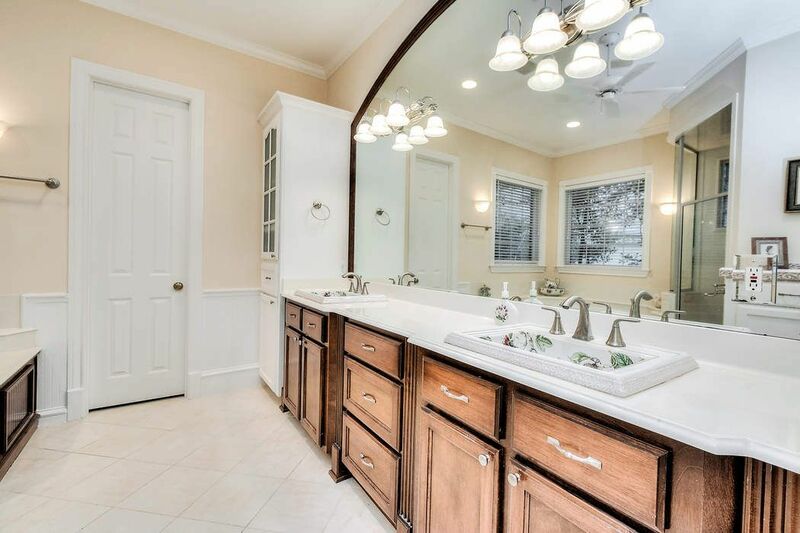 The beautiful and extensive mill work seen throughout the home has been carried into the master bath. 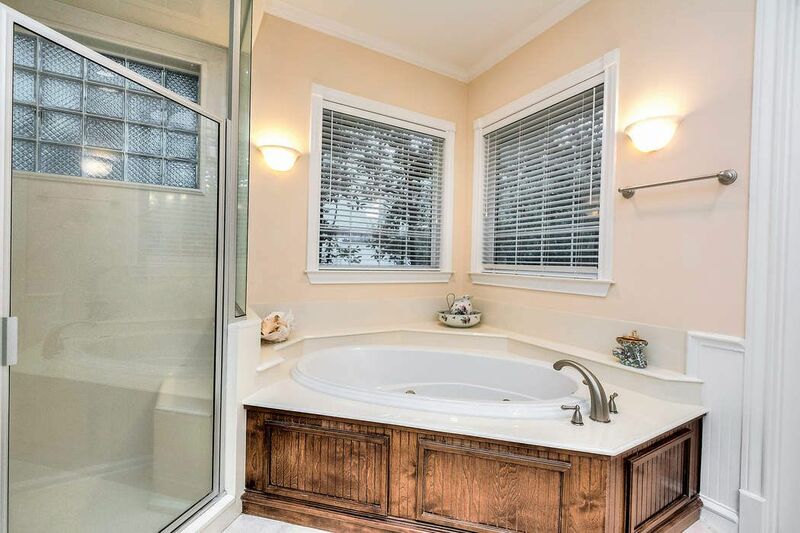 This master bath boasts a separate jetted tub and shower private water closet. The windows allow for natural light. 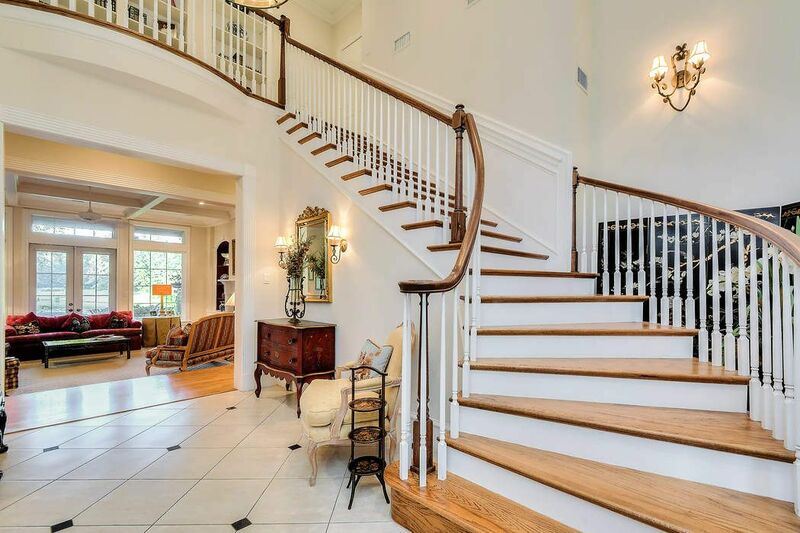 Return stairs with oak wood treads lead up to the game and TV room and secondary bedrooms. You will find lots of storage in this home. Many built in bookcases including these on the landing. No space was wasted in this home. 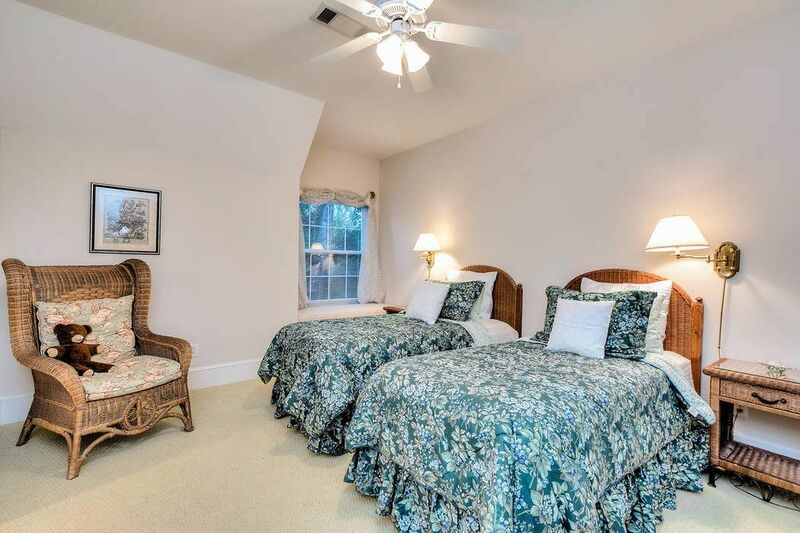 This guest room with loft/craft room has a Jack and Jill bath and offers views of the lush front yard. The loft area currently used as a craft room could be a great home library or children's study area. 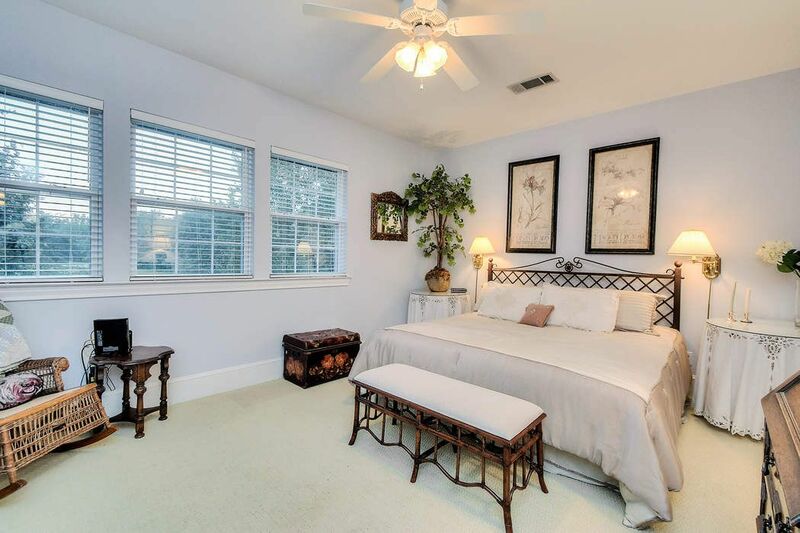 This guest room boasts a window seat making it a great place to sit a read your favorite book. 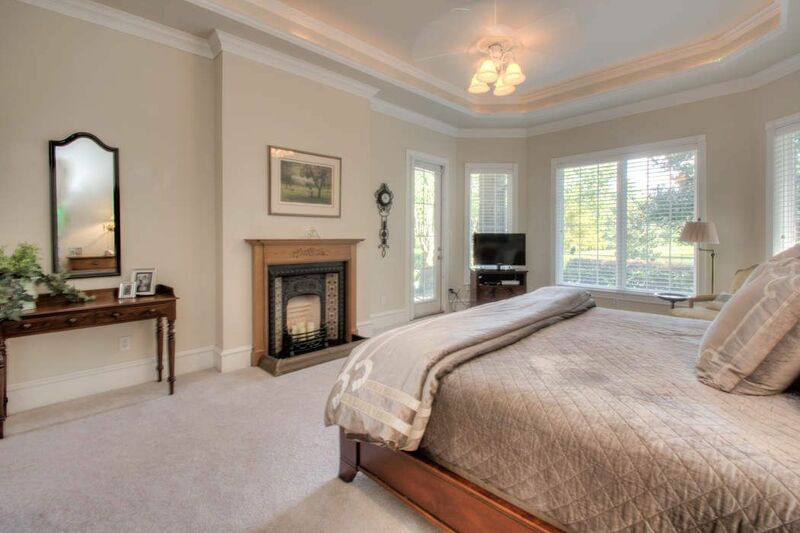 The guest room is quite spacious and offers beautiful views of the lake. 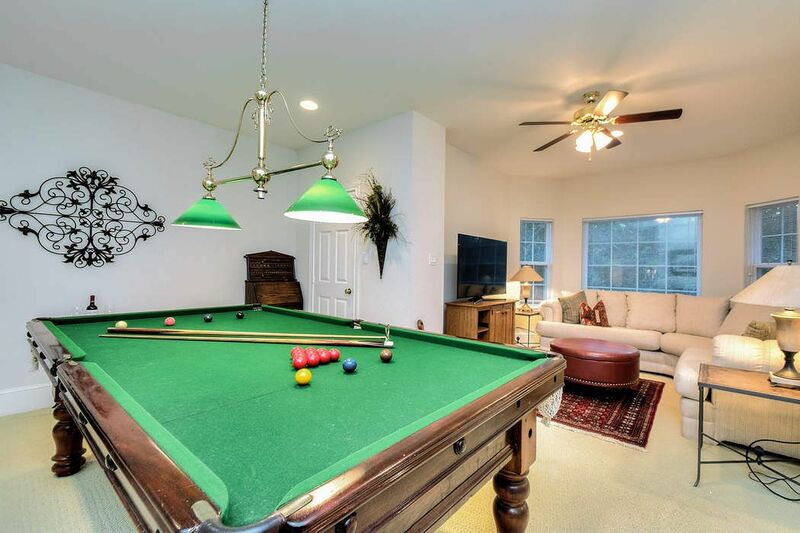 This game room could be a great teen lounge, perfect for a poker table and a great place to enjoy friends and family. 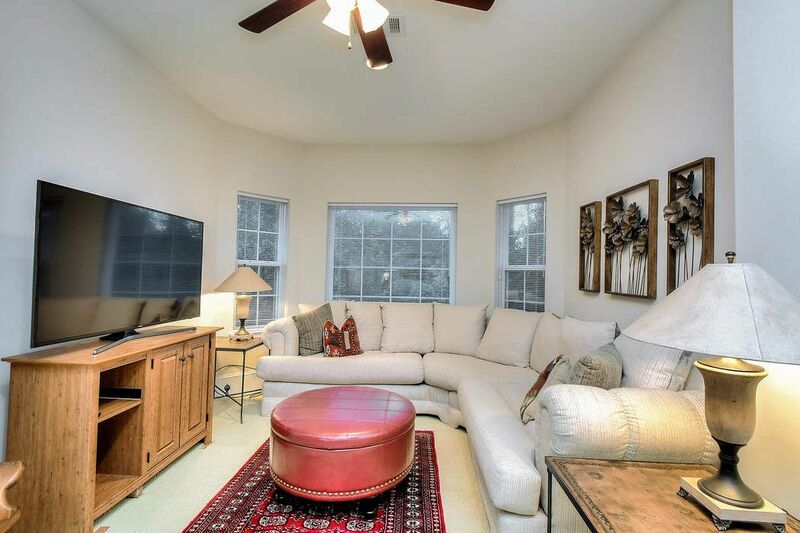 TV room off Game Room - create the perfect entertainment getaway in your home. 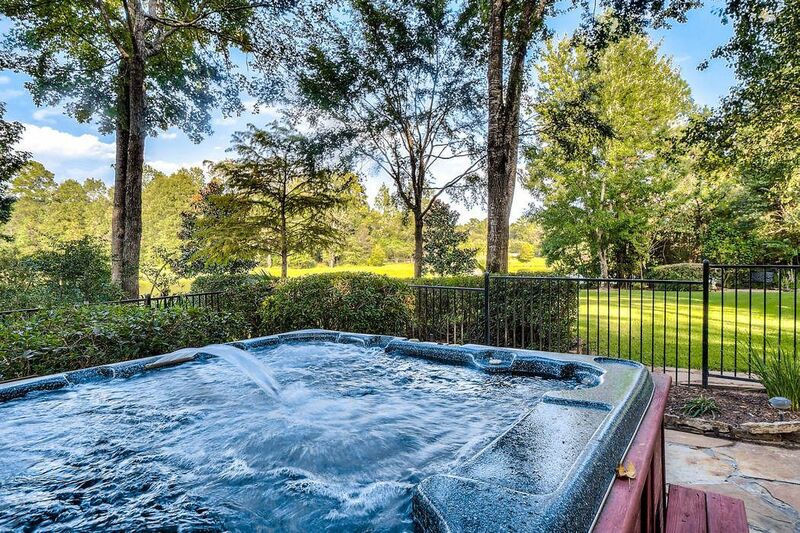 Enjoy sitting in this 8 seat hot tub, contoured seats, jets and waterfall feature. What a great place to sit and relax after a long day. Wrought iron fenced area for hot tub and dog run. In addition to the beautiful lake views found throughout this home, the pergola is a fantastic place to sit and take in the views and enjoy the secluded backyard. Fishing in this trophy bass lake is steps away. 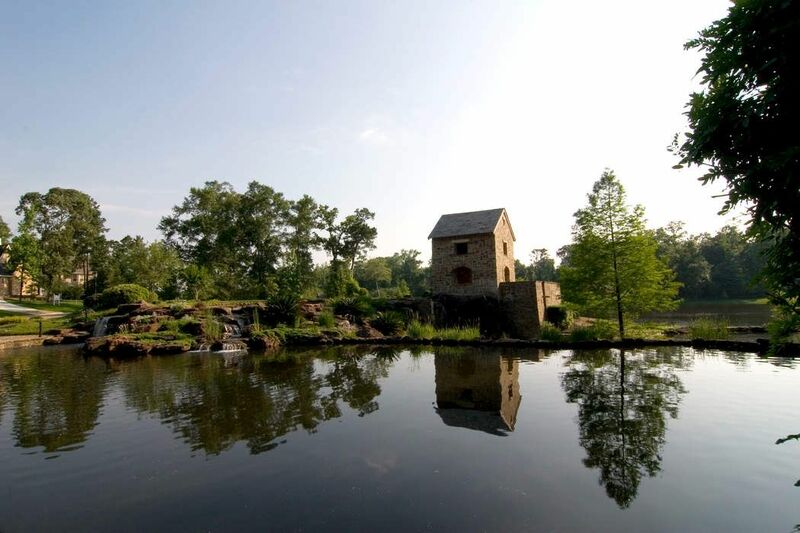 Old Mill Lake is an exclusive gated community. It features a mill, waterfalls & lakes. Walking the private streets is a joy with beautiful sites & views all around. There are just over 100 home sites. Opportunities to join the OML community are rare. 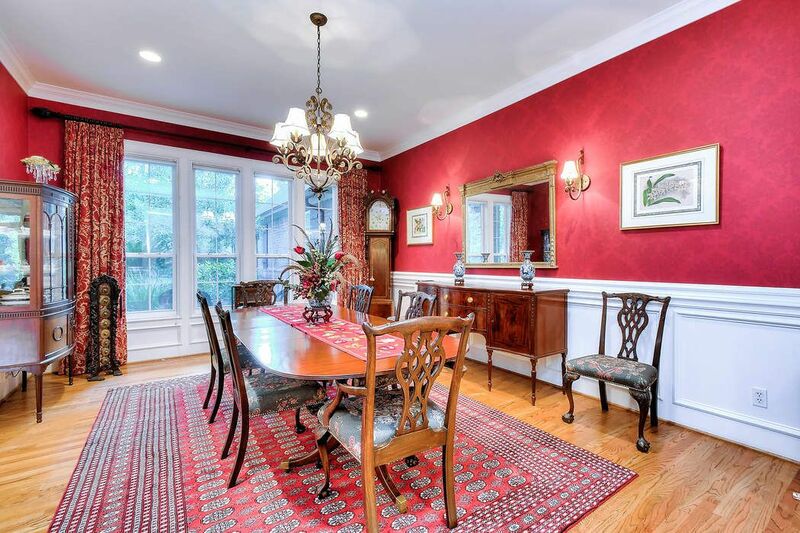 $695,900 4 Bedrooms3 Full / 1 Partial Baths5,161 sq. ft. 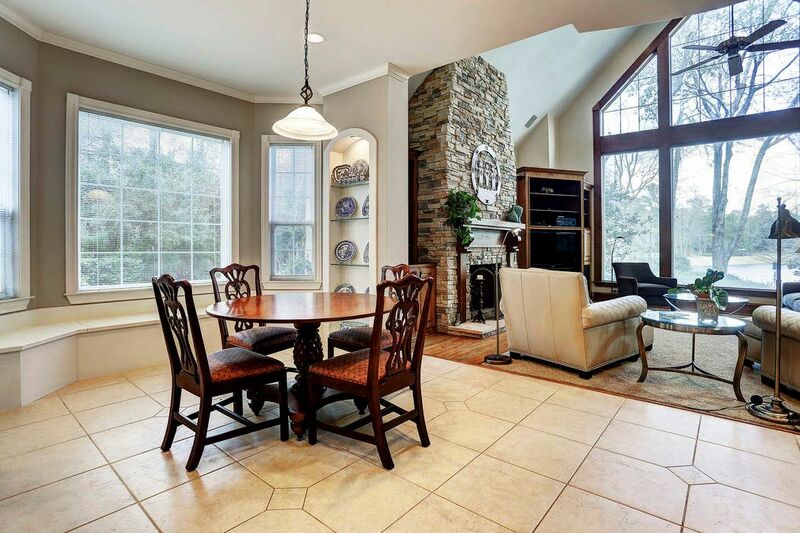 Exquisite J Neathery custom in exclusive gated community of Old Mill Lake. 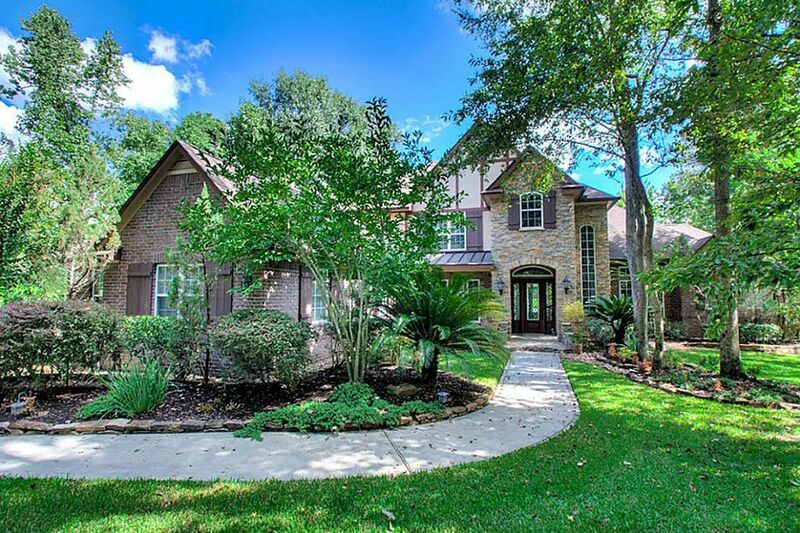 This 4 bedroom, 3.5 bath home boasts beautiful custom finishes and architecturally interesting details. 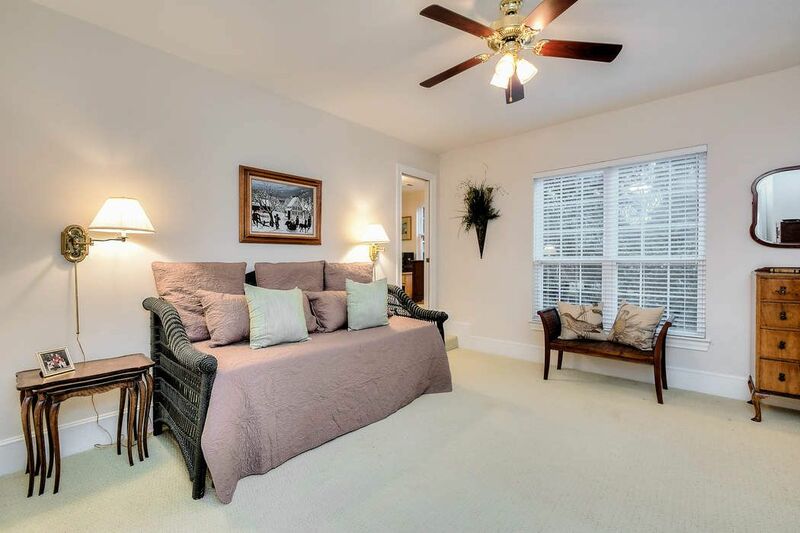 Open and elegant with dual staircases, custom paint colors, beautiful crown molding and built-ins, professional appliances in kitchen, carpet, tile, oak wood floors and wine room with 300-bottle capacity. Outdoor amenities include hot tub, lakeside pergola, greenhouse, water well and some of the most impressive views of the lake.